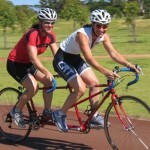 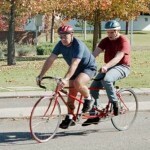 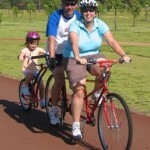 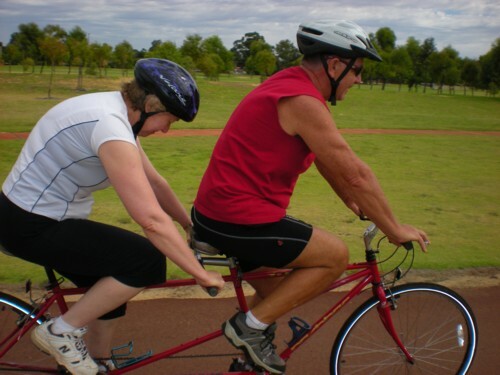 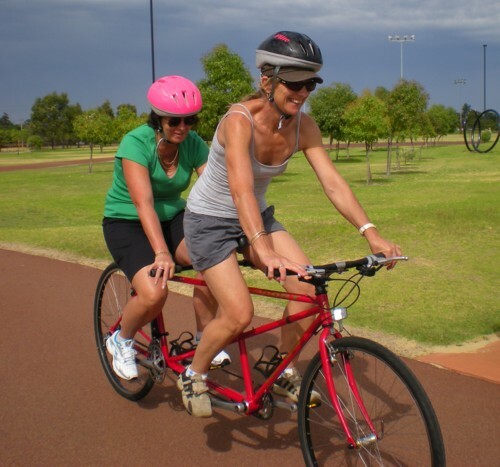 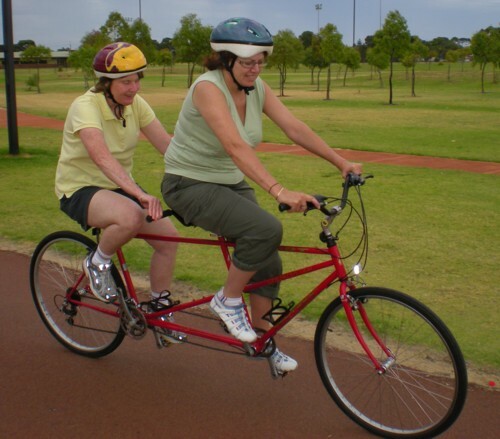 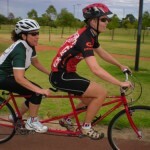 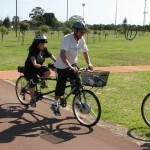 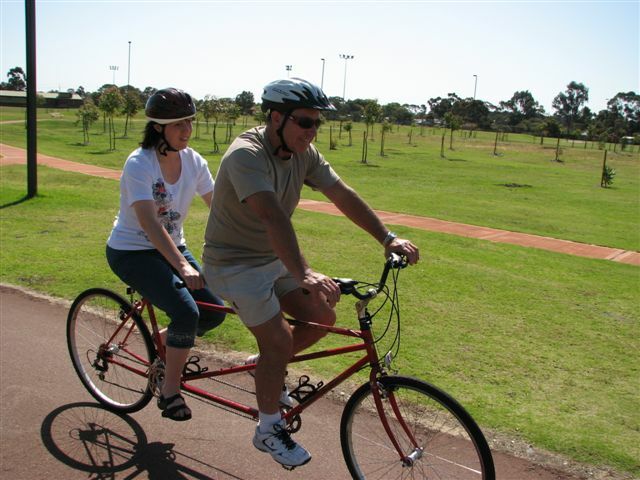 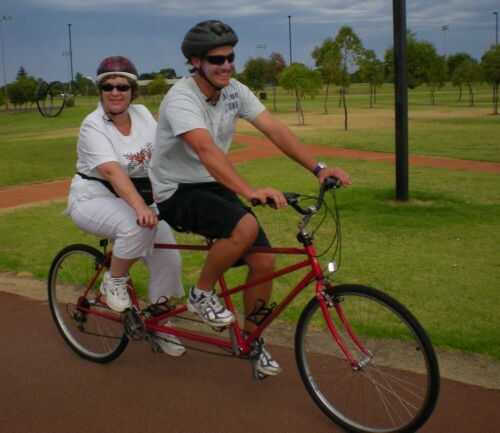 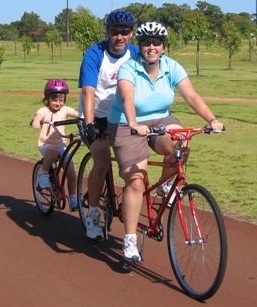 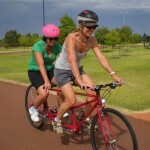 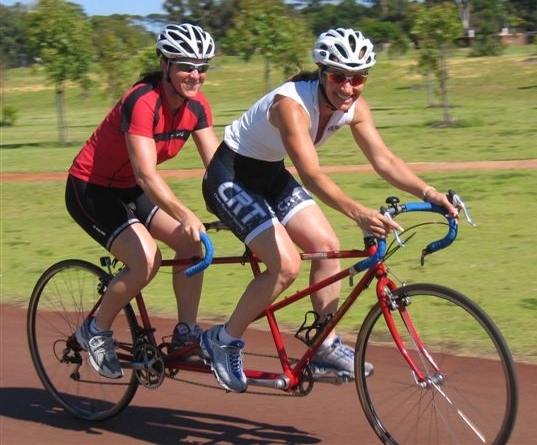 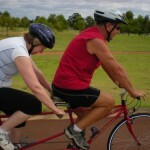 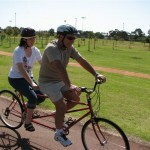 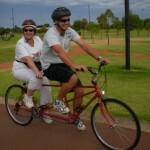 Many people think that it must be difficult to ride a tandem, but with a little practice and expert advice anyone can safely ride front or back seat. 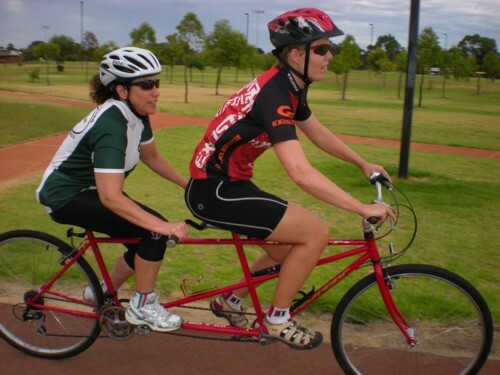 A tandem is different, but not that different. 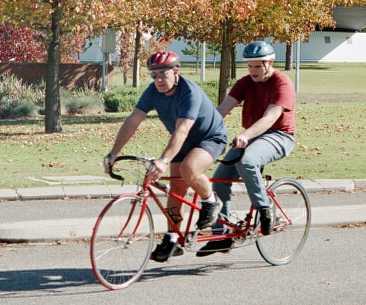 With two riders on board, they are balanced and behave like a single bike. 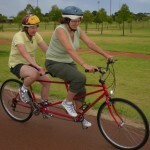 The crucial thing is to communicate constantly until the two riders form an understanding. 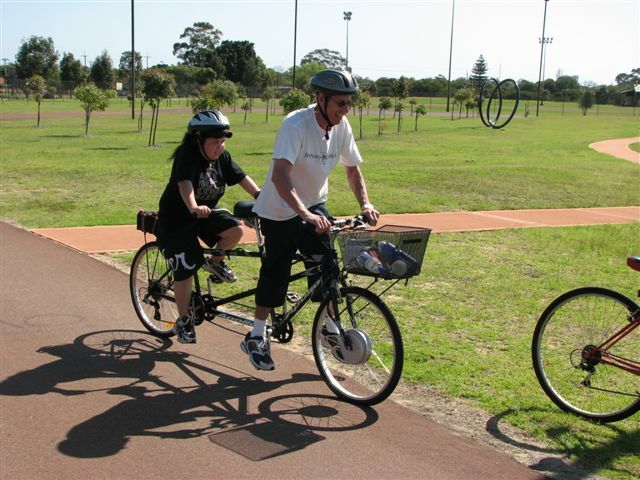 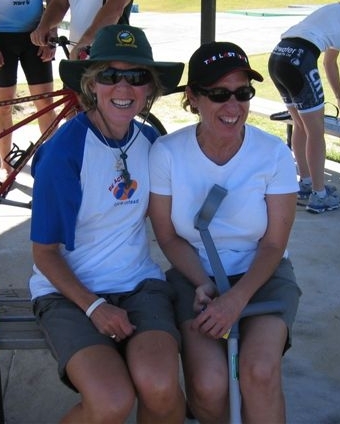 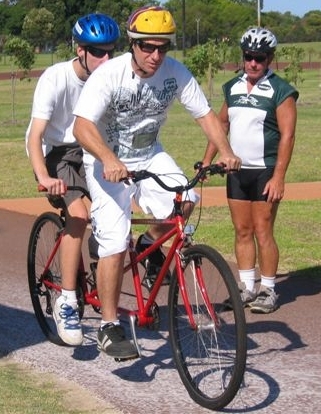 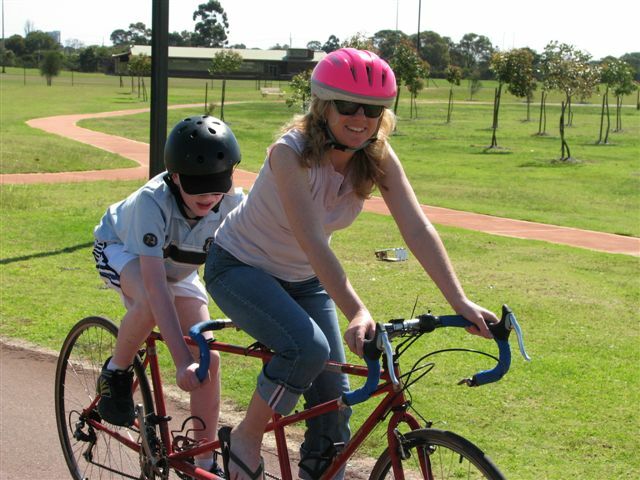 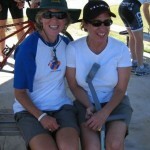 Over the years, we’ve conducted many tandem cycling clinics to introduce sighted and vision-impaired cyclists to tandems. 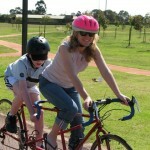 The clinics are supervised by our expert coaches Hab and/or Janelle with assistance from our enthusiastic volunteers. 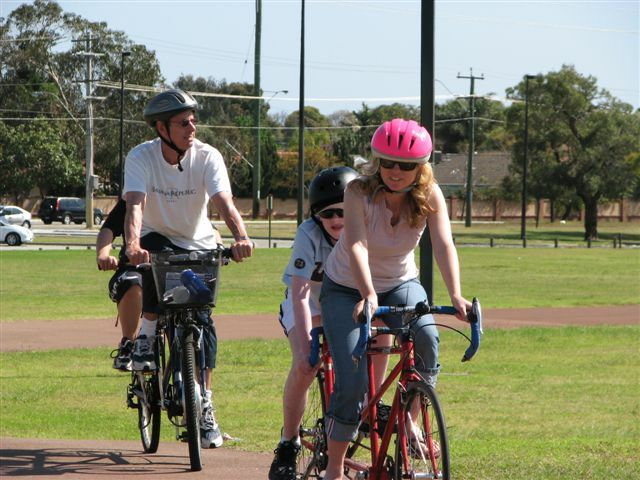 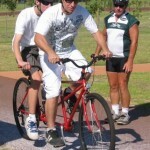 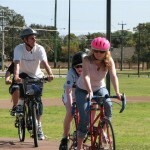 Our introductory clinics are conducted on a safe cycling track well away from traffic. 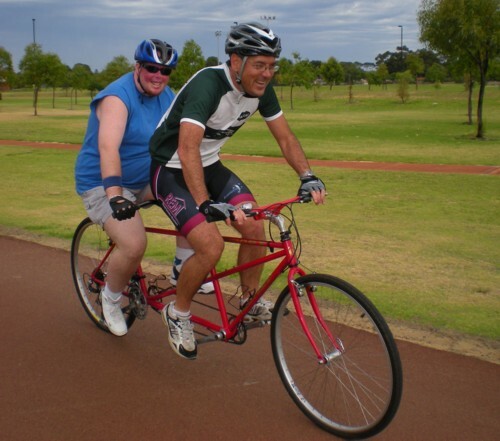 In addition to learning to ride a tandem, sighted riders don blackout goggles to gain an insight into what it is like to ride without vision. 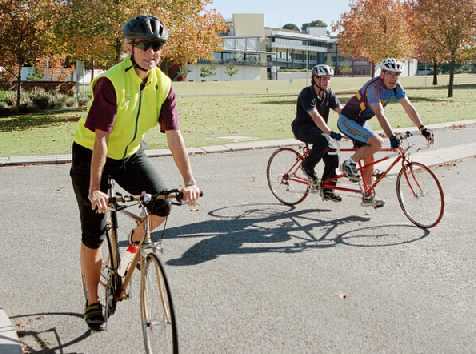 Our follow-up clinics are conducted on the internal roads at Technology Park in Bentley then traditionally finish with a short road excursion to a favourite coffe shop. 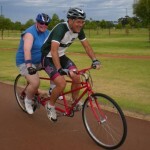 Here are a selection of photos from some of them.